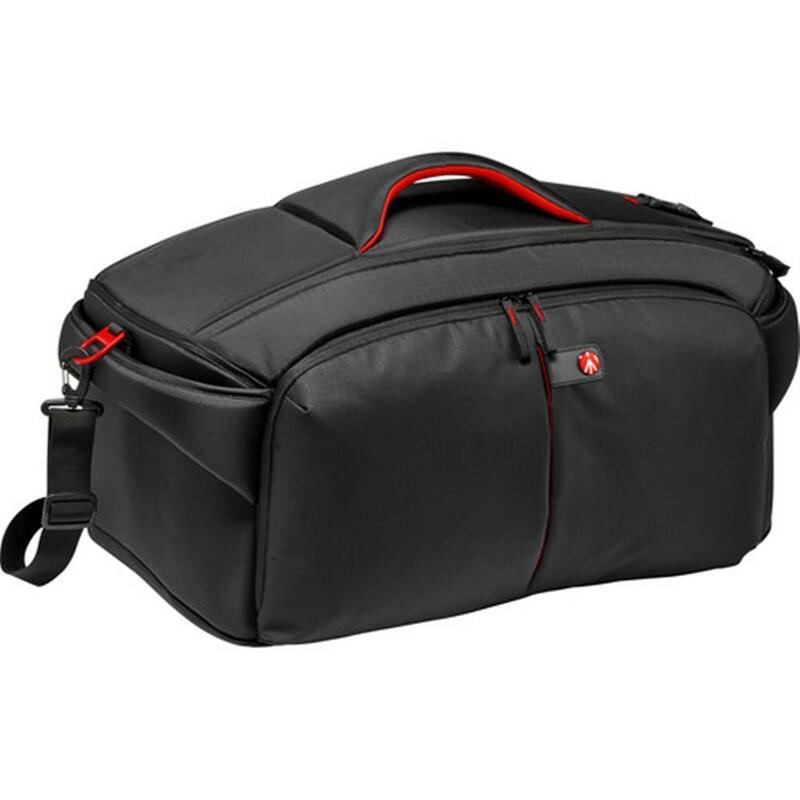 Manfrotto CC-195N PL camcorder case is a video camera case designed for professional videographers. 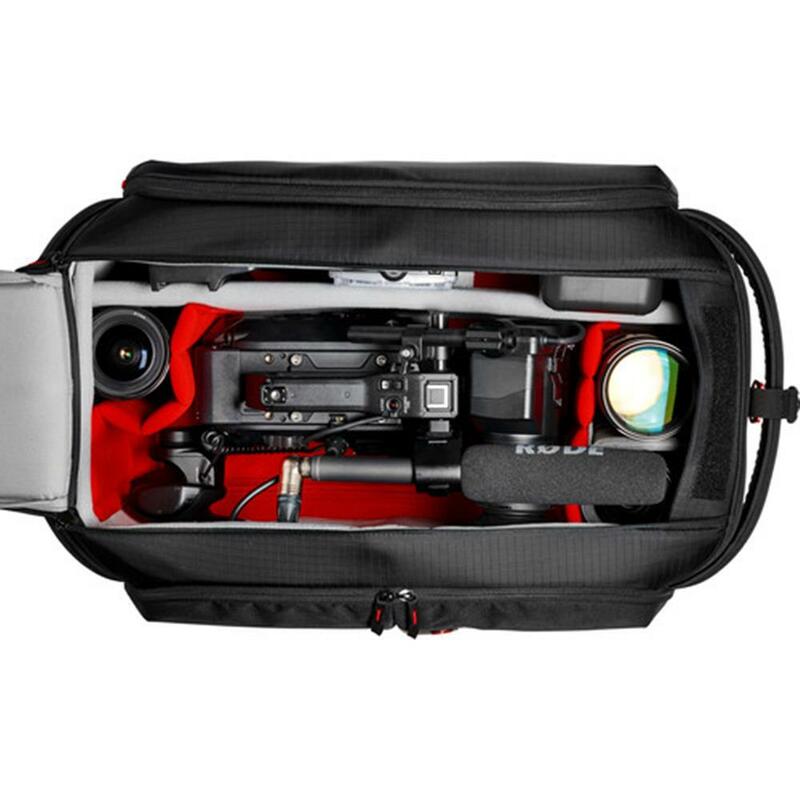 It is the perfect carrying & protecting solution for the latest modular camcorder (e.g. SONY PXW-FS7, NEX-FS700R) or shoulder mount ENG camera (e.g. SONY PMW-350) or Video DSLR with rig(e.g. Canon EOS 1DC, 5D mark III). High-quality rip-stop nylon fabric with water repelling treatment are used to construct the outer shell of the bag to provide solid protection to the gear from external shock & extreme weather condition. Built-in aluminum frame positioned near the opening further strengthens the protection. 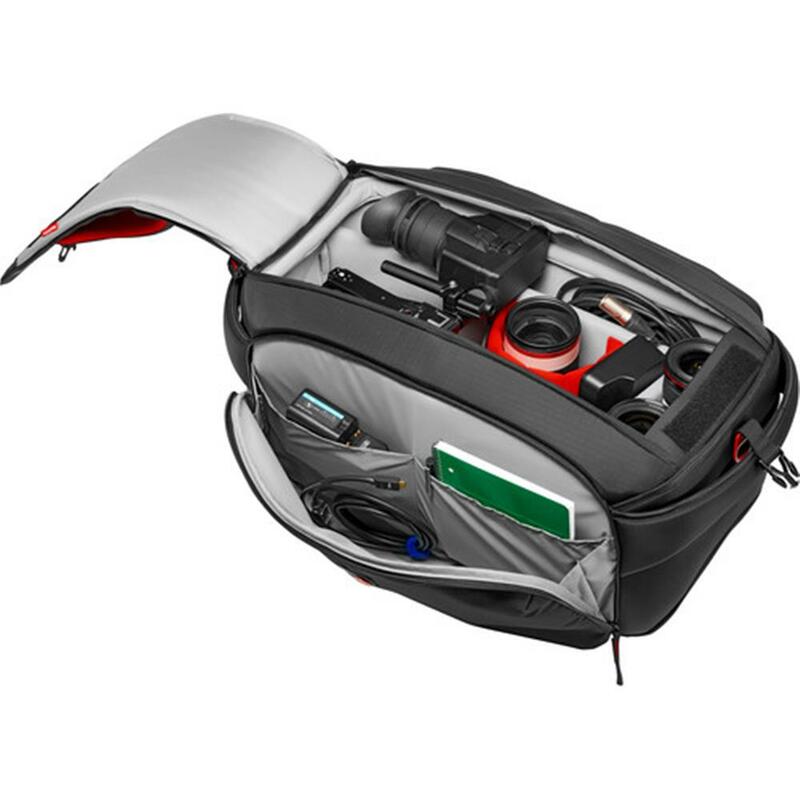 Open the top dual-zipper you will find the main compartment comes with various dividers, including a full-length divider & the latest Manfrotto Flexi dividers for you to setup the space according to your need. The Manfrotto Flexi dividers can be bended to wrap around camera body or extra lens that strengthen the protection & fully utilize internal space. 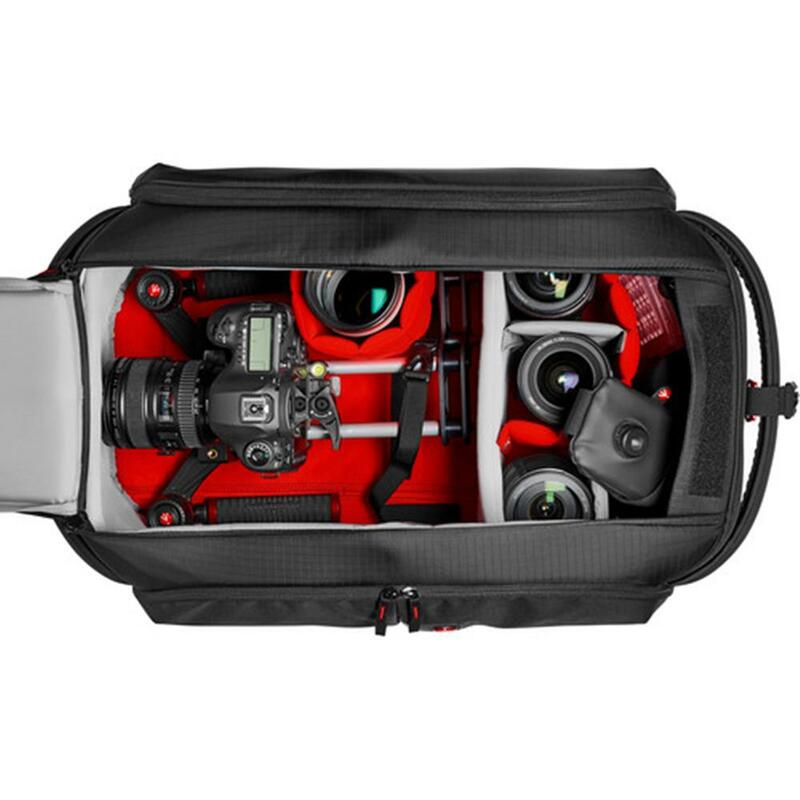 The bottom of the compartment & the Flexi dividers are made by specially shaped foam to form a Manfrotto Protection System (CPS) around the camera body, which provide shock absorbing & vibration reduction protection to it. The supplied lens pillow provides extra support to the lens area. Expandable back pocket can hold some bigger accessories like a disassembled rig. It can be tucked away completely when it is not needed. The full-length external front pocket helps you to organize small accessories. The three handles located on the top and on the sides make it easier to be taken out from the warehouse shelf & car. Detachable padded shoulder strap ensure a hassle-free journey with the bag. Compatible to standard trolley making transportation even easier. 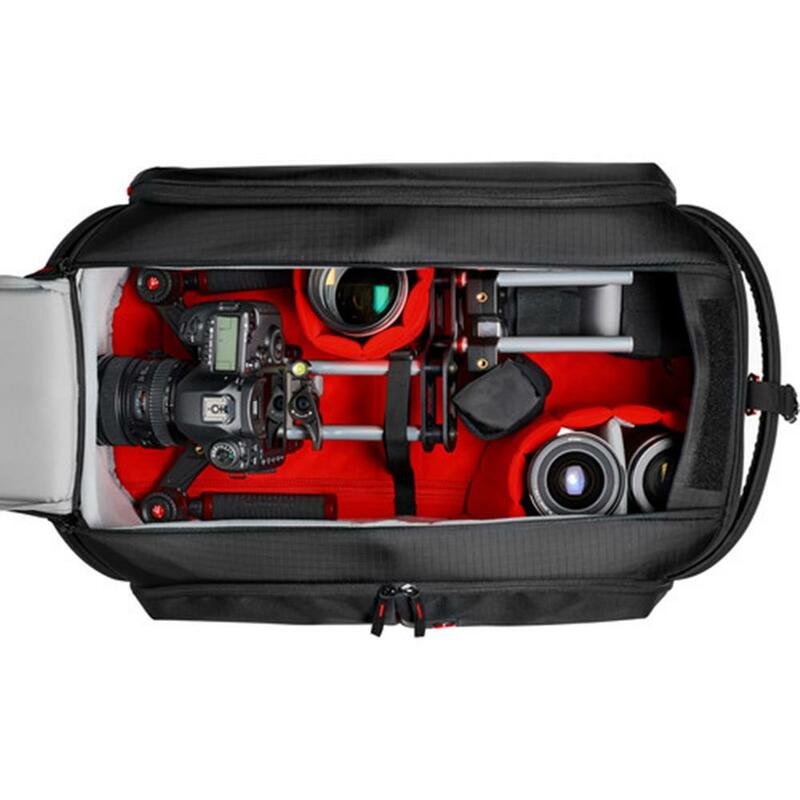 Check out the fitting chart & find the best camcorder case for your camera now! External Dimensions (HxLxW): 36 x 37 x 58.5 cm / 14.17 x 14.57 x 23.03 in. Internal main compartment Dimensions (HxLxW): 30 x 30 x 56.5 cm / 11.81 x 11.81 x 22.24 in.